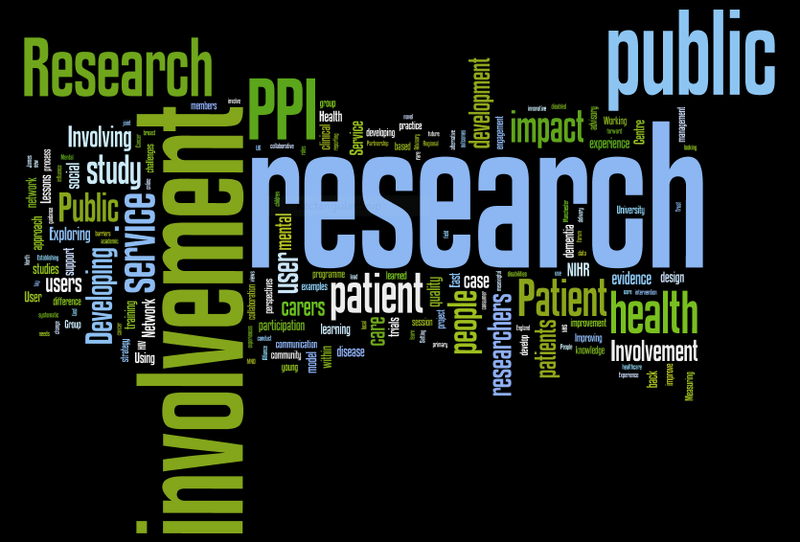 Public involvement in research: would you like that shaken or stirred? So, ladies and gentlemen, there I was on Saturday afternoon, at the pictures, watching the new James Bond movie, ‘Skyfall.’ This was background research for today you understand; listening to Adele dolefully sing: ‘This is the end’ which is the opening line of the film’s signature tune. And – as you do at these moments – I thought about public involvement in research. ‘We are certainly not at the end,’ I said to myself. ‘But we are definitely not at the beginning. Perhaps you could say that we are at the ‘end of the beginning.’’ And we are certainly in better shape than 007 begins the film. But perhaps I ought to come to the INVOLVE conference and, like Q, issue everyone a PPI pistol or lay review stun gun, better still, an Aston Martin to help us on our way? Look out for it on the front of our next newsletter! Not unlike 007, while the essence of our mission – putting patients first in research – has not changed over all these years, the context certainly has and more so today than perhaps ever before. That’s why I said yesterday, after Sir Iain Chalmers’ incredibly powerful and provocative keynote speech, that I thought this would be one of, if not the most, important INVOLVE conferences for many a year. Since I spoke at the INVOLVE conference in 2010 we have had a spending review in which health research has fared comparatively better than most other sectors. But we have also seen a train of legislation on health and social care that has thrown up many anxieties. The boundaries of research and how it is conducted have also changed; the public’s role at these margins is often undefined, at best, and ill-considered at worst. We can be forgiven for feeling shaken, stirred or even both at various times. And, if you strip away some of the most obvious words we begin to get a sense of our preoccupations before the opening session. The enthusiasm that has come across on twitter and in the general chat around the conference hall would suggest that people have come away inspired by what they have seen and the new connections made. We know we have achieved a great deal but we also know there is much more still to do, much more. So, in terms of the evolution of public involvement I wonder where you would place us on this picture? Standing tall perhaps? Some way off inventing the wheel I think? On the other hand it might just be that we are about to light the fire that transforms our health research system so that it truly puts patients first. If we are clear about our mission, our values and how we work together going forwards. If we work collaboratively and choose to make the most of the opportunities ahead of us. If we empower our colleagues to express their preferences about how public involvement is best poured rather than have it served to them ‘as it comes’ or refused because they are not seen as members of the club. And I think we are duty-bound to think and act opportunistically about the future however bleak we may feel at times. How far we have come and, indeed, the dilemmas it can raise was brought into sharp focus for me when I did some reviewing – yes I do some real work occasionally – just a few weeks ago. This may have already happened to you but it was the first time for me. It wasn’t that a number of applications included patients as co-investigators or co-applicants. Or that many quoted INVOLVE’s guidelines and some had actually read them! Nor that others went a bit overboard with some aspects of their PPI and advocated hundreds of focus groups to alter the design of a petri dish. I exaggerate but there were some points when I thought to myself ‘oh gawd’ what have we started a bit like the owner of Fenton in Richmond Park. No, it was that several of the teams who came along to present their application brought a patient or carer along with them to answer questions. All excellent you would think. But in the room several things went through my head. Is this simply clever marketing – a new bit of game playing to tick the box? Are we being pitted against one another? How do I ensure their voice is heard by my fellow members? How do I establish the sort of dialogue in such a short space of time to establish that they feel genuinely part of the team? And the fact is that we must return to them time and time again, be honest with ourselves when we have failed to uphold them as well as applaud ourselves when we have. In 2007 INVOLVE set out how it approaches its work. But these are not values and now – given our growth and the external pressures we face – the time seems right to invite you to help is crystallise a set of values that will guide us in the future. So, following this conference, as part of a survey, we will be asking you to help us identify what you think these values should be. I would hope that both the process and the outcome will be unifying. For me personally, one of the most important values to run through our veins is a commitment to work collaboratively with others. We are not and should not behave like the conqueror wishing to take over some fortress or build a new one. Rather we should, with others, strive to create a different space where research can happen, one which is much richer and more rewarding in meeting patient needs and priorities in the future. This spirit of partnership will be important in tackling some of the uncertainties ahead. So let me set out what I think some of these challenges are and suggest some ways forward. 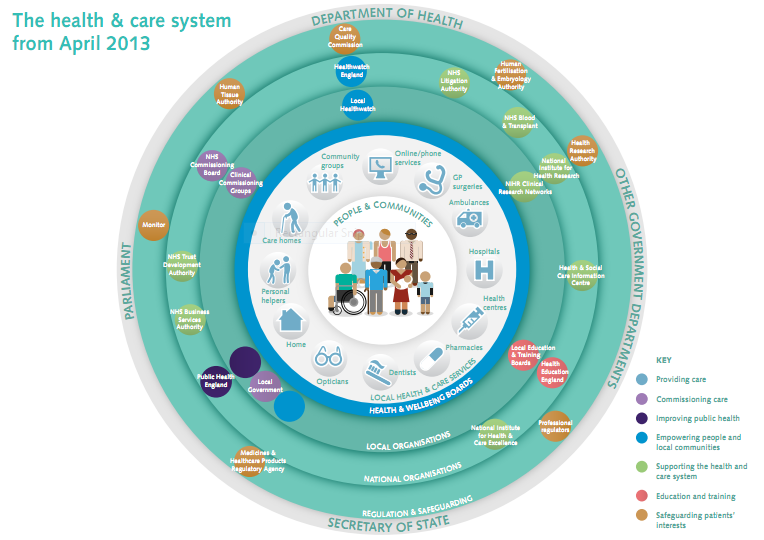 First, are the changes sweeping across our health and social care system following the passage of the Health and Social Care Act earlier this year. Some of you may have heard Jeremy Taylor from National Voices share his perspective on these yesterday. I love the unbridled optimism inherent in its neatness don’t you, although it is actually a very helpful graphic when you study it? Of course, depending on who you listen to about the NHS reforms, you are likely to come away with one of two pictures much as we do when faced with an optical illusion. 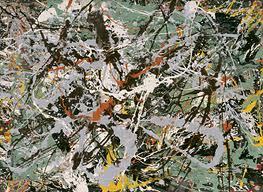 But, let’s be honest, most of us feel that things look like this at the moment, don’t we? So perhaps our task is similar – to look at things in a different way to that which we are used too. It’s not so much about looking for the focal point or foci anymore but identifying where and how we build and support networks to ensure the patient and public interest permeates it all. I share the concern that public involvement is already a curate’s egg with places where it is good and those where it is poor or not-existent, that this may be amplified as the picture unfolds. But on the other hand statements by Malcolm Grant, the Chair of the NHS Commissioning Board – who was recently quoted as saying that ‘patient experience’ is the Board’s most important concern – and others, give us license to roam and forage in ways that we could not have before. The question for us is where do we roam and what are we foraging for? What I’ve heard from many of you is a desire to use the current state of disruption to forge new alliances with our public involvement colleagues and others in service provision for instance; to map what is happening in public involvement and; to ensure public involvement is central to the workings of new structures such as the Academic Health Sciences Networks (AHSNs) and integrated clinical research networks. Some of this work we are already taking forward in INVOLVE’s task and finish groups. But the latter one with regard to making public involvement integral to the governance and accountability of networks – to help our colleagues ask challenging questions – is an issue that was also raised by our members at their last meeting in September and which is now an urgent priority for us. Let me now turn to the issue of patient choice in research. The irony of the new Health and Social Care Act 2012, given its difficult birth, is that from a research perspective it holds much promise. There are duties now on all local NHS organisations to ‘promote and advance’ research. Evidence, patient outcomes and quality are in the ascendancy as drivers of change or so we are told. Patients will have new levers and some improved ones to exercise their choice to take part in relevant and appropriate research. These include the NHS Choice Framework on research and the revised NHS Constitution. The aim is that being part of research should be seen as an integrated part of a patient’s care and treatment. And again, I think the alliances we build with our colleagues across health and social care provision are going to be powerful in making this happen. Our priority at this point must be to ensure that improving patient access to research is not interpreted solely as a recruitment drive for clinical trials and other studies. It needs to be defined in terms of patient outcomes; shared decision-making and knowledge exchange; the information, evidence and tools at people’s disposal to make an informed choice; the stories of other people’s experiences in research; and of course the role of public involvement. Public involvement is going to be integral to delivering this agenda in a way which is as much shaped by as it does match patient preferences. In simpler terms it is called moving things closer to the patient. But perhaps we also need to go through an attitudinal shift in seeing greater participation and engagement as very important consequences, rather than the difficult cousins of, public involvement as we sometimes do. Can I also add as an aside that, given my other role with NIHR, that it has been very interesting and helpful to me to hear the many perspectives about the impact of research regulation on public involvement and patient access to research. We can certainly feed this into the work that INVOLVE and others are doing to both forge a good relationship with the new Health Research Authority (HRA) and shape the environment so that it ‘protects and promotes the public interest’ – which is the HRA’s mission statement. There has already been a great deal of discussion at the conference about the use of patient data for research purposes and INVOLVE has long been involved in this debate, most recently giving evidence to the Caldicott2 review on information governance in health and social care. We will also be responding to the Government’s public consultation on its proposals for a modified NHS constitution launched last week. In all our representations about this – whether they have been about access to medical records for research or the potential of ‘big data’ as it is often termed – INVOLVE has stressed the importance of putting the patient first, most obviously in terms of security and confidentiality. However, thinking ahead, the task is now one of articulating the additional or equivalent rights and expectations that should flow to the patient: being able to control their data in ways which will be familiar to them from other aspects of their ‘online’ life; accessibility of course; a commitment to support them to use data to help prevent ill-health or manage their condition and; to access clinical trials and other data upon which their treatment or care is based. The consultation on the NHS constitution gives us an opportunity to set out this ‘quid pro quo’ for patients. But I also think that the time has come to – in fact it is well overdue in my opinion when you think that people like Andrew Herxheimer made this same case in 1988 – to lay down the rights of patients in research, a charter which would set out some basic expectations on information, consent, dignity and respect, and feedback from researchers. The fact is these are perennial issues we have long been concerned about but where the discussion and debate has meandered rather than coalesced. I would hope that such a charter might give it a new centre of gravity for the future. Given the global nature of research nowadays – and who can not be affected by what we have seen happen in places such as India – I would hope that this is something our partners and colleagues in other countries would work with us on and, with it, develop a much firmer international partnership of public involvement organisations. That is very much in my line of sight. Finally, I do briefly want to talk about funders and institutions. Now, some of you will be familiar with the joint publication by INVOLVE and the National Research Ethics Service (NRES) published at the end of last year. The report was an analysis of the public involvement component of grant applications put before NRES. The essential story to take from this is that National Institute for Health Research (NIHR) funded applications were far better in terms of their public involvement component than those funded by charities, the NHS, industry or others. We have been fortunate in the UK that such a sizeable portion of the Government’s health research budget rests with the one organisation – NIHR – that has embraced public involvement in research from its establishment in 2006: to the point that it can be the deciding factor in whether a grant is awarded or not although we still have much work to do. As INVOLVE’s funder it has also given us a stable and sustainable base from which to work. But the further afield you look the more disappointing the picture becomes. Thinking about the researcher’s comment earlier, we need to raise our game with how we engage with and make the compelling case for change which will make them sit up and take notice whether they be charities or industry. Remembering my own time as Chief Executive of the Association of Medical Research Charities (AMRC), it was interesting to see how its influence with Government grew in tandem with its ability to better tell and quantify its contribution to the overall enterprise. Anyone reviewing the abstracts from this conference will see how seriously we take the business of impact but perhaps we are not thinking through those impacts so that they resonate most with the preoccupations of our key audiences – the agenda around growth, the forthcoming Research Excellence Framework (REF). So these are some of the frontiers in public involvement as I see them. And you will have a chance to identify the priorities you think INVOLVE should take forward in the future in our follow-up survey to the conference that I have already mentioned. I am also sure that there are many different actors who will play a part in helping us navigate them – and you in this hall encapsulate this: those who strike it out alone by necessity or choice and bring back messages of new things found or not! : the wagon trains of communities who will circle at regular points on their journey before settling in one place; the evangelicals who are good at spreading the word and; the road or rail builders who begin to bind and grow the communities that set out ahead. Who can be in any doubt for instance about the perennial power of the personal story to shift people’s thinking and improve practice after this conference; or when you read articles as powerful as the piece by Matilda Hale, Professor David Jones and others published in the BMJ just a few weeks ago. It is about having mutual respect for what each of us can do from our respective positions and their inherent limitations as well as opportunities. To know what each other is doing and how it contributes to the whole. So we do need to consider how we organise ourselves and come together in the future. It is very clear that we are faced with some real development needs or growing pains in terms of our capacity and capability– the size of the community now being called upon to do ever more in the name of public involvement, the variability in public involvement, their skills and development, building networks, the extent to which knowledge is shared between us. INVOLVE cannot do it alone in fact by working ever more closely with you and you with us will we turn the community represented in this room into a wider movement. But nor should we be afraid of looking at new ways of working as we have already begun to do in INVOLVE with our project groups. Thinking about my weekend trip to see the new James Bond movie and the thoughts it had prompted in me about public involvement, as you’ll know, James Bond is fifty years old this year and has been through many transformations. But we still know it is James Bond because of the recognisability of the values he stands for and his various trademarks. So it can be for us. Mine is shaken. With ice and a bit of lemon. What’s yours? I do believe that the most important part of patient involvement in clinical research considers the choice of what is researched in the first place. The best access, patient information and data protection will be futile if the question studied has no relevance to the patient; it further turns the patient into an object in a process of which he/ she is meant to be at the centre. Patients are experts in their own right- no one else really knows how it is to live with a certain disease and in times of reduced funding and increasing health costs we have to ensure we focus our activities on patient-relevant research. Patient involvement with the identification of clear needs as perceived by patients therefore needs to be the starting point of and not an add-on to clinical research.